Just the other day, author Laura Fraser and staff member Emily Adams chatted about Laura’s new book, All Over the Map. Following An Italian Affair (both her book title and her experience...ooh la la) Laura meets her lover in Mexico, and discovers he has met somebody new. 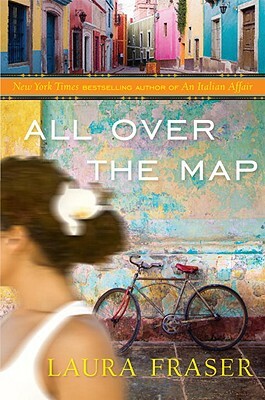 All Over the Map retells her adventures traveling the globe, searching for romance, adventure, and herself. We've got signed copies!